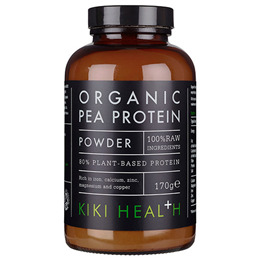 KIKI`s Organic Pea Protein Powder is derived from organically grown non GMO yellow peas. It is a low fat, rich plant-based protein source, delivering 80% natural protein and contains an organic balance of amino acids. Organic Pea Protein Powder is a delicious alternative source of protein for anyone, especially vegetarians and vegans or those following restricted diets. It has a mild flavour and a smooth texture that mixes easily with liquids. 100% Organic Pea Protein Powder. Mix around one teaspoon or more with water, juice or a smoothie. Can be sprinkled on/mixed with food. 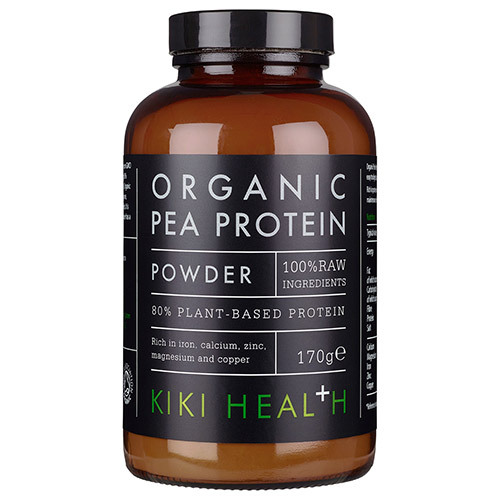 Below are reviews of KIKI Health Organic Pea Protein Powder - 170g by bodykind customers. If you have tried this product we'd love to hear what you think so please leave a review.